There is a lot of information in today's QOTW email. Please be sure to scroll down to read everything. Our May webinars are this week. There's still time to sign up! Read all about them and register farther down in this email. If you live on the Treasure Coast, you do not want to miss Bye Bye Birdie! This is the 20th year for the Summer Musical presented by the St. Lucie County School Board. It's an Anniversary Show and there will be alumni in the production as well as students from all over St. Lucie County. (Many of you know that Joyce is the musical director for the productions at Port Saint Lucie High School and she plays in the pit during performances.) We have tickets (Still only $15 each.) and you can purchase them by calling us at 772-408-4425. Or, if you prefer, you can get tickets at any of the places which have them available. (www.PSLHSDrama.com/tickets) Show dates and times are listed below! Summer Hours start June 1st and run through Labor Day. We'll have different hours for the summer. Be sure to check out the hours listed below. 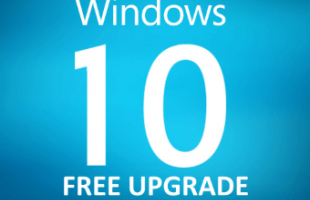 Windows 10 free upgrade ends soon. Read our Question of the Week below to find out more info. Support for Windows Vista ends next year - April, 2017. If you are still using a Windows Vista computer, it's time for a new computer. Be sure to check with us as we get some awesome deals on desktops, laptops and all-in-ones. Our last seminar before our summer break is June 11, 2016. Read all about it below. Just a reminder: we issue special information that comes out between the Question of the Week email via our blog. You can check it out HERE. ​Please consider sharing this email via social media and/or by forwarding in email. Thanks. We're having two webinars in May and they are THIS week. We'll be continuing our series "Getting Down To Basics." We hope you can join us but remember to sign up even if you can't make the live webinar. We'll send you all the follow-up information. Thursday, May 26, 2016 * 1:00-1:30 p.m. Although home computers have been around for over 30 years, we keep discovering that many people don't know how to perform basic tasks that make using a computing device so much easier. In this free, 30-minute webinar, we're going to look at the proper way to install and remove programs from your computer. Whether you are a total novice or you've been adding/removing programs for years, we promise you, you are going to learn some new things during this webinar. Please join us and invite a friend! Enroll today by clicking HERE. Friday, May 27, 2016 * 10:00-10:30 a.m. The first "modern" Windows operating system arrived on the scene in 1995 but Windows 10 is not quite a year old. Few of us are fond of change and there have definitely been changes with Windows 10. In this free, 30-minute webinar, we're going to look at some basic, easy ways you can use Windows 10 like a pro. If you give us 30 minutes, we'll share information which will save you tons of time and frustration while using Windows 10. Please join us and invite a co-worker, neighbor, relative or friend! Sign up now by clicking HERE. Question: "How much longer do I have to upgrade my computer to Windows 10?" Answer: The Windows free upgrade from Windows 7, Windows 8 and/or Windows 8.1 ends on July 29, 2016. If you've put off upgrading and want the free upgrade, you need to do the upgrade before that date. Remember, if you want us to help you with the upgrade, you need to log into Remote Technical Support (Not an RTS customer? Read how to join our service HERE.) between 9:00 a.m. and 12 Noon, any day of the week (Monday through Friday). If you want to upgrade after July 29, 2016, you'll need to purchase the Windows 10 upgrade which is, currently, $119.99 for the home version (from Microsoft). For those of you who haven't upgraded yet, be warned that, unless we installed some software to block the Windows 10 upgrade, you may wake up one morning soon to find your computer already upgraded. In the past few weeks, we've had a great number of customers upset that their computer upgraded to Windows 10 without their knowledge or consent. We're not really happy with Microsoft for doing this as it has caused us a ton of headaches and upset a lot of our customers. On paper, it is possible to revert to your computer's previous operating system in the first 30 days after upgrading to Windows 10. We have had a few customers do this - some had problems (programs not working correctly, etc.) others had none. We suggest using caution when it comes to reverting. Some people have asked us if there's a reason for them to upgrade to Windows 10. The answer to that is "Yes! You should upgrade!" The number one reason for upgrading is security. Windows 10 is the most secure operating system to ever come out of Redmond. It's worth upgrading for that reason alone. 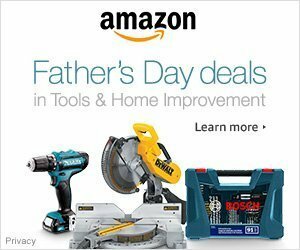 One caveat to this: if your computer is running Windows 7 and is four years old or older, you might consider not upgrading but, instead, purchasing a new computer. Windows 10 will work much better with newer, faster processors and memory. Remember, we have Windows 10 webinar videos you can watch for help with Windows 10. You'll find them HERE. The title for our June seminar is "Philadelphia: City Of Brotherly Love" The cost is still $8 per person. Since this is our last seminar before the summer break, Joyce will be making her hot breakfast foods which you won't want to miss! As for the seminar itself, we'll be talking about summer precautions you should take with your computer plus a whole lot more. As always, we'll try to make learning fun, too! We hope to see you there and please bring a friend! For the summer (June 1st through Labor Day), we'll have special hours. 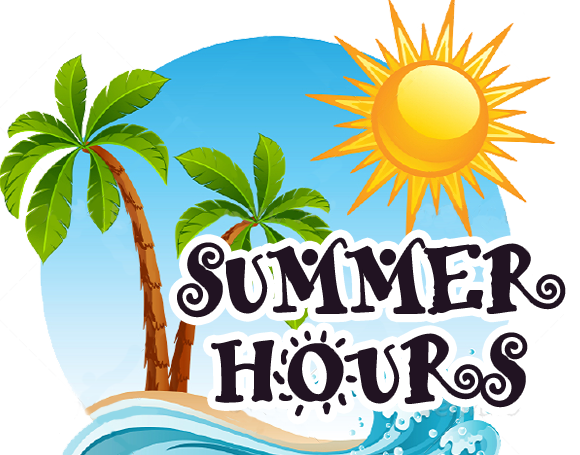 Here is a list of our summer hours, Eastern Time, and you can also find them HERE. We open at 9:00 a.m., Monday through Friday. Monday, Tuesday & Thursday, we close at 5:00 p.m.
Wednesday, we close at 9:00 p.m.
Friday, we close at 4:00 p.m.
Saturday hours are by appointment only. Please call us at 772-408-4425 earlier in the week if you want a Saturday appointment.